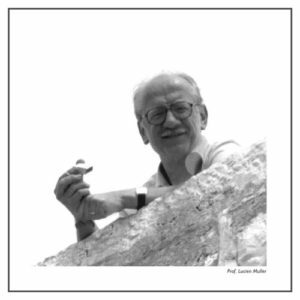 Muller Worldwide Links, formerly Fenix, then Muller Interlanguage, is the offshoot of the passion, professional experience and long-sightedness of Prof. Lucien Muller (in the photo) who knew how to grasp and cater to the international communication requirements of the modern business community. Born at Saarlouis in Germany but a French citizen, he lived in Lorraine and then in Paris where he graduated in German Literature and Philosophy. A native speaker of French and German, he was also fluent in Latin and Greek. He initiated his language services activity in 1959 when he started to translate, together with his initial team of translators, from and into the main European languages (French, German, English and Spanish) with passion and diligence. Considering that best practice in translating requires systematic revision and cooperation in order to deliver high-quality translations, Prof. Muller gradually involved many other translators and the company now proposes translating/interpreting in 45 languages. As firmly established by Prof. Muller at the outset, our most important strong point has always been and still is our strict policy of using only native speakers (of the target language). Only a person who has known, from childhood, the values and nuances of a language can convey precisely the effective meaning and intent of the text without being influenced by the structures of the source text. Over the years, the level of specialisation of translators and interpreters has been further enhanced – always under Prof. Muller’s direct supervision – improving understanding and rendering of the texts, dealing with complex projects also through continuous contact and feedback from clients. the documents of foreign companies that need to communicate effectively in Italian. The company, now managed by his wife Renata Musso Muller with the assistance of her sons, can claim a well-entrenched tradition of sensitivity and efficiency in furnishing language services and consulting for companies and institutions. Muller WWL has been active for fifty-five years, conscious of the know-how and expertise acquired and is able to offer clients maximum quality and a constantly renewed range of services. Muller WWL currently proposes highly professional language services from and into 45 languages.